Cast out by his own family after a wolf’s bite infects him, a young 13-year-old boy is forced to roam the streets and fend for himself. In a world of humans and others, he belongs to neither. No longer considered human, but nor a purebred other, a race of powerful supernatural beings, he will be unwanted and hunted by both. Danger lurks at every turn. Young, vulnerable, and afraid, he tries to come to terms with the physical changes taking place in him while at the same time trying to find a way to survive. In a menacing world filled with threats and hate, is there any hope of salvation for this orphaned fledgling? Please note: this is a Society short. To hear this story was amazing! 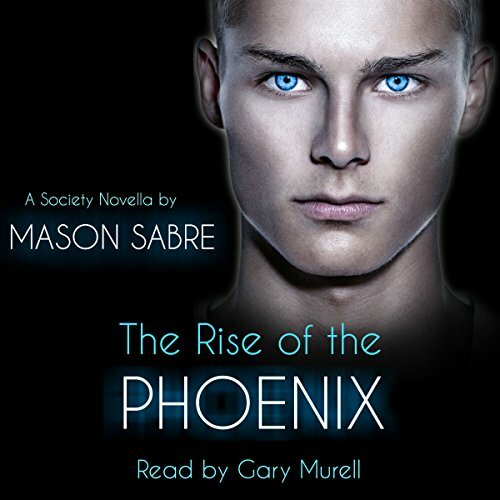 Would you consider the audio edition of The Rise of the Phoenix to be better than the print version? What does Gary Murrell bring to the story that you wouldn’t experience if you just read the book? I've read the story and loved it. I think the narrator to a good job of making the characters come to life. When his dad threw him out of the house. I sobbed! I listened to this book with great excitement. I had read the story several times and had a voice I my head. Gary Murrell is the perfect voice for the story of a young boy who becomes an outcast from Society when he is bitten by a wolf shifter. Mason Sabre's writing comes to life as you listen to this audiobook.